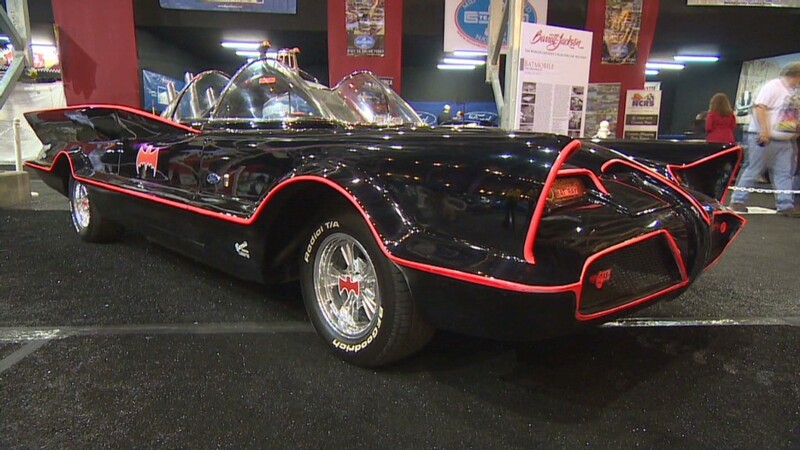 The Batmobile used in the 1960s Batman TV series sold for $4.6 million at a collector car auction Saturday. The car had been the sole property of its creator, legendary car customizer George Barris. It was sold at collector car auction company Barrett Jackson's annual auction near the company's Scottsdale, Ariz., headquarters. The final price includes a 10% sales commission. There had been some question as to whether the car would fetch a large sum. Craig Jackson, chief executive of the auction firm, said he expected the car to sell for millions. Others pointed out, though, that many imitation Batmobiles had been built over the years, a good number of them virtually indistinguishable from the original. That raised the question of whether collectors would be willing to pay a huge sum for this Batmobile simply because it was the first. Rick Champagne, who owns a logistics company in Tempe, Ariz., was very willing. He identified himself as the buyer in an interview with Speed TV immediately after the sale, and his name was confirmed by a representative for Barrett-Jackson. He told Speed that the car would go in his living room. CNNMoney was not immediately able to reach Champagne for comment. "The energy in that room was just electric. We haven't experienced anything like that since the Futurliner," Jackson said, referring to the 2006 auction of a General Motors concept bus that sold for $4 million. Bidders were so tightly packed around the Batmobile that it was hard at times to tell who was bidding, he added. Some particularly iconic TV and movie cars have gone for very high prices. For example, a highly modified 1964 Aston Martin DB5 used in James Bond films sold for $4.6 million in 2010. But Hollywood cars don't always command top dollar. For one thing, there are usually multiple versions created for different types of shots and for promotional use, making it hard to to say that one vehicle is definitively "the car." In this case, the TV Batmobile really is a singular creation. While there have been many imitations, this is the only original. The Batmobile started life as a Ford (F) 1955 Lincoln Futura concept car, which was itself based on a Lincoln Mark II. Aside from its pearl white paint job, the Futura actually looked very much like the Batmobile it would become a decade later. Famed car customizer George Barris -- also known for creating the Munster Koach and the Beverly Hillbillies' car -- was tasked with creating the Batmobile in 1966. With a tight deadline, he decided that modifying the Futura, rather than starting from scratch, was the way to go. On television, the Batmobile's technology allowed it to shoot flames, squirt oil and shoot tire slashers, but the car is not actually designed to do any of that. In an interview with CNNMoney in November, Barris said he had been offered large sums for the car in the past but had never considered selling before. He agreed to sell this time, he said, because he thought it was time to move the car out of his studio and put it someplace where more people could enjoy it.